Congratulations, you just moved into your nice new home. You’ve unloaded the boxes and started to unpack your life. Here are 15 things to do immediately that will reduce the maintenance costs of your home over the long haul. You can read about them and click any of the links provided for more information. If there’s inadequate insulation up there – or the insulation you have appears to be damaged – install new insulation. Here’s a great guide from the Department of Energy on attic insulation, including specifics on how much you should have depended on where you live. Many states offer financial incentives, up to a 75% refund, for instance, to encourage homeowners to better insulate their homes. 2. Lower the temperature of your hot water heater down to 120 degrees Fahrenheit (55 degrees Celsius). Many homeowners don’t have the extra cash to shell out for repairs when something in the house breaks. You most likely have homeowners insurance right? But what about if your washing machine of 10 years breaks down? Or your dryer just stops working one day? Homeowner insurance won’t cover those repairs. That’s why getting setup with a Home Warranty Program can actually end up saving you a lot of money in the long run. It will cover any unexpected repairs to your appliances, plumbing, water heaters, heating and other electrical systems. They also will replace anything that they can’t fix. Make sure you shop around for rates on a home warranty program – this website will give you quotes that you can then choose from. A home warranty program should be a minor cost that can end up saving you major money. Install ceiling fans wherever possible. They are not too inexpensive and require relatively little electricity. Provided you change their reversal settings, so they blow down on you in summer and draw the air up and away from you in winter, the resultant air circulation should allow you to adjust your thermostat by a couple of degrees either way. You should see quite a significant saving in energy costs as a result. Did you know that homes without security systems are 2.5 times more likely to be targeted by burglars and intruders? But installing a home alarm system isn’t just to stop burglars and intruders, it can also save you big money year after year. A house alarm will save you money on your homeowner’s insurance policy (which is generally mandatory if you own a home). In fact, on average installing a home alarm system will give homeowners a 10-20% discount on their insurance by having a high functioning home alarm system installed. The good news is that these home alarm companies are pretty desperate for customers at the moment so you can get a good deal. For instance, one of the best alarm system companies – ADT is currently offering over $800 in savings if you just pay the installation fee. That means you basically get a free alarm system for over a year, just by paying a $99 fee. For Homeowners, rising monthly electricity costs can make you feel like you’re always living paycheck to paycheck. The good news is that now more than ever the government is offering subsidies to install solar panels. That means if you live in a sunny part of the United States, you may be able to qualify for a free installation, and it will significantly reduce your electricity costs in a matter of weeks. In fact, some Americans have saved as much as $183 per month on their energy bills. If you’re not happy with solar panels, you can always wait until the new Tesla home Powerwall is ready and purchase that. If you’d like to get a quote on solar panels in your area – you can visit SolarCity and get an idea of how much money you can save by making the switch. The Fuse Box and main disconnect which controls the supply of power to the house. The water pipes which controls the water supply. Smoke and Carbon Monoxide detectors and fire extinguishers: It’s probably best to replace the batteries in the detectors and service the fire extinguishers unless you know for sure this was done recently by the previous owners. Planning the best emergency exits for you and your family in case you should need them. Many homeowners might find that they are unexpectedly in a tough financial spot and need a little bit of help. That’s where personal loans can help. Personal loans can be used for almost any expense – from paying off credit cards to financing home repairs or even a much-needed vacation. They are typically paid back in monthly or bi-monthly installments over an extended period of time. Personal loans can be a convenient alternative to bank loans or high-interest credit cards, with online applications and no-hassle automated repayment. With AVANT you get access to loans for whatever you need and get to see the terms upfront before any commitment. Make sure you look at the interest rates offered and the loan repayment terms before going ahead with anything though. All sorts of incentives and tax credits are available to encourage energy saving in homes. They are available at all levels of government, from federal through state and county to your city or town. Check out which apply to you in your city and state. The installation of solar power is especially encouraged. Solar power tax incentives are probably one of the most common and easy to get installed. Depending on your state, you will have the option of leasing the equipment or simply buying it outright. 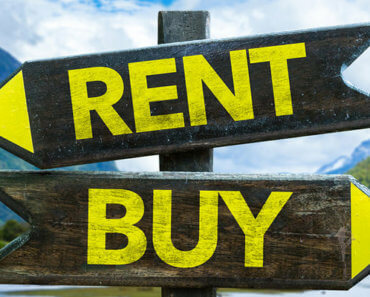 There are all sorts of tax advantages to owning a home instead of renting. Hopefully, you’ve already gotten with an accountant to take full advantage of these. But you may not know about federal programs in your area that allow you to claim an energy tax credit; the same goes for your state, county, and city or township. They all have programs, usually federally mandated and funded, to help homeowners increase the energy efficiency of their homes. Some of these programs are based on your income, but some of them simply have gobs of grant money to shower on whoever shows up first to claim it.